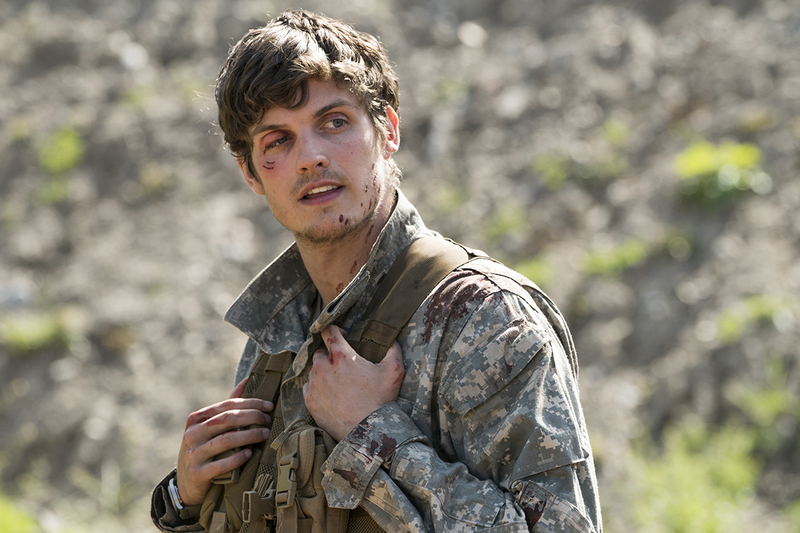 Fear the Walking Dead has seen a huge injection of new blood this year. 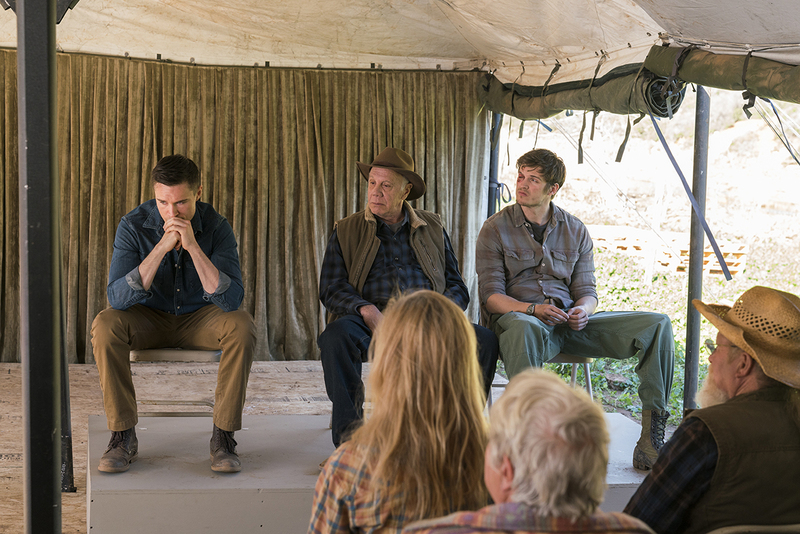 We’ve seen Deadwood‘s Dayton Callie and The Following star Sam Underwood join the third season as father and son Jeremiah and Jake Otto respectively. Rounding out the family is previous The Originals and Teen Wolf star Daniel Sharman as the charismatic yet sadistic Troy. Currently filming the remainder of the season in sunny Baja California, we spoke with the east-London native about everything – from keeping up with former co-stars, to the British invasion within Fear, to what it was like finding out he was getting “spooned”. What drew you to the role in the show? The idea of playing very complex, difficult characters is always interesting to me. They are really good characters to play. There is such a complex set of reasons that’s gone into the way that Troy acts. I’m always drawn to characters who always have no redeeming features…that’s why I love Troy so much. How does your time on Fear compare to Teen Wolf and The Originals? It’s one of those things that…I join these families after they’ve been established – I enjoy that. But they’re all different and all completely vary. Do you keep in touch with any of your former co-stars? I do, all of them! I always collect people. I collect friends and fellow artists and collaborators and I never let them go. I just form such a beautiful attachment. You’re always together [on-set] and that’s one of the perks. Does that mean you’re going to [former Teen Wolf co-star] Colton Haynes‘ wedding? [Laughs] I don’t get to talk to him very often but I’m hugely proud of him. I’m just glad he’s happy. I don’t think I’ll be able to make it, but I couldn’t be happier for him. Who would you love to star opposite – on Fear or just in general? I love Albert Finney, he’s a beautiful actor. I would love to star opposite him. I’d happily play his servant of some kind [laugh]. Or Mark Rylance…those two would be my dream two co-stars. So in the first episode Madison jams a spoon in your eye. What was your reaction when you first heard that was going to happen? I found out that my face would have to be fitted for a spoon in the eye. And I was like…right okay. I was basically drip fed tiny pieces of information that allowed me to form a picture of what was going to happen. For some reason it didn’t click that I would have to have the spoon in my eye the entire time. I was wondering about how it got in my eye. And then on the first day I got my eye gouged. It was really hard cause my depth perception was gone. It was quite a baptism of fire on set. What’s the funniest thing that’s happened on set so far? Oh man…anything that’s funny isn’t funny to anybody else [laughs]. It’s like one of those stupid things when people have in-jokes and then you explain the in-joke and it sounds…yeah. I think it’s the thing when you’re shooting for so long you get delirious and then hysterical so then…something bizarre like a noise just breaks you down. You’re obviously very busy at the moment filming the series. But do you get the chance to watch any other TV shows? I’m a big big big fan of watching other people’s work. I love Preacher. There are two other TV shows that I’m blown away by; The Young Pope and The Handmaid’s Tale. They’re just two series I think are beautifully put together. With Sam Underwood and Dayton Callie, there’s a bit of a Brit invasion in the show. Is that something you all frequently make jokes about on-set? You know it’s funny because Frank Dillane is a Brit as well and you’ve got Alicia who’s Australian. It’s a very American story and this series represents a very American idea, I find it quite fascinating. It’s a story of immigration and borders. They are certainly in an apocalypse so everything has become universal, but I think the characters a born out of a very American idea of borders and militia. Last of all, who do you think would win in a fight? [Your character from Teen Wolf] Isaac Lahey or [your character from The Originals] Kaleb Westphall? Oh…in a fight of emotional manipulation I think Isaac would win. But in a straight up physical fight, Kaleb. It would be hard to beat someone who can literally move things with his mind. Fear the Walking Dead continues Mondays at 9 on AMC UK.